Rock Guitar Method: Post Fifteen - What is a solo? Adrian Carroll aka Killer Guitar Carroll played in the Splatterheads and currently in the Boondall Boys. Here is his guitar technique and you are invited to be part of this ongoing project. No discussion topic is too small. Enjoy. Post Fifteen - What is a solo? Now let’s practice the G major arpeggio. Once learned we can add this to our improvisational repertoire. Practise playing the exercise up and down the fretboard as you sing the notes, as this will increase your familiarity and ability to utilise them while improvising. 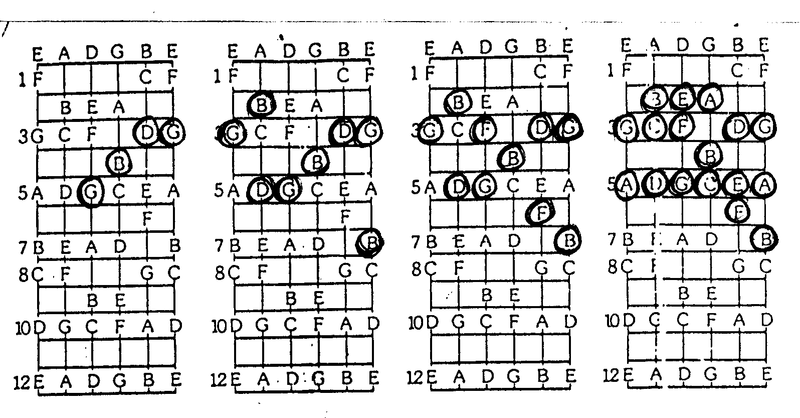 The arpeggio grown progressively on each diagram. The third shape is the G b7th Arpeggio notice the sound of the b7th added, and finally the G b7th scale or Mixolydian mode. You will recognise the shape as your Dorian shape starting on the G. Modulation is an important tool where you use the same sound but change where it starts. 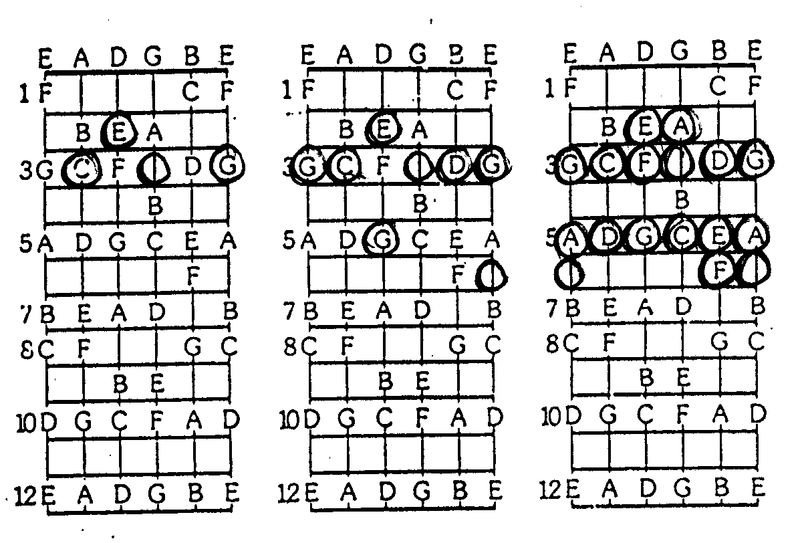 Another popular modulation is to raise the whole song up two frets, try it. Sing the arpeggio for the chord. And then sing the full C9th scale or Mixolydian mode. You can do this exercise with other positions and other sounds, and the more that become familiar to you the better.